[T]here was one section that caught my eye, and if you are someone who cares about the continued existence of the state of Israel, regardless of which political party you belong to, it should have caught your eye as well. . . .
After all the candidates thought they handled their obligatory Iran policy question, Tim Russert, to his credit, visually stunned them all by making them all answer a simple yes or no follow up question. Russert asked all of them individually if they would take a pledge tonight to the American people that Iran will not develop a nuclear bomb while they are president. Here is how Hillary responded. He asked her twice. Her answer in so many words: No. Twice. Foreign policy experts from the center, right and left do see Iran as a threat that might ultimately require military action. Most recently, Walter Russell Mead of the Council on Foreign Relations appeared this past Friday on the Hugh Hewitt Show, saying, "Should we reach a point where we have to make a choice between a nuclear Iran or some kind of military action, then I think it’s pretty clear that a military action is where we’d have to go." Rudy Giuliani in a Reuters story from just this last Friday said, “America will not allow them to become a nuclear power," and "the military option is not off the table and the Iranians should understand that, that America will not allow them to become a nuclear power.” Notice the use of the phrase will not allow. That's a pledge, something the Democrats just couldn't bring themselves to say. COMMENTARY has announced that John Podhoretz will become the new Editor in 2009, succeeding Neal Kozodoy, who has been the Editor since 1995 when Norman Podhoretz retired from that position after serving in it for 35 years. This produced a piece from the New York Times about nepotism, since John Podhoretz is Norman Podhoretz’s son and will be succeeding him a mere 14 years after his father left the post (during which time John co-founded The Weekly Standard, wrote three books, established a widely-read column on politics and culture for the New York Post and blogs daily at The Corner). Ed Lasky demolished the Times’ story in four short paragraphs, noting the irony of an article on nepotism from those who took the “paper of record” and turned it into an agenda-driven journal with (in Renata Adler’s words, writing in 2001) “no reliable, uninflected coverage of anything, least of all the news” by handing the paper from “Punch” to “Pinch” Sulzberger and then institutionalizing the nepotism with a corporate structure that prevents Pinch’s removal. One of the saddest lessons any writer has to learn is that anything he writes can be cut and that, worse news, the writing is often – not always but more often than not – better for being briefer. The Gettysburg Address is 272 words long; with an editor’s help, I’m sure Lincoln could have brought it in at under 200. . . I have neglected to add that I think Neal Kozodoy one of the very best editors going, and the one whom, because of my regard for his acumen and his strong anti-crapola radar, it gives me the greatest delight to please. He, of course, would have cut this entire paragraph. As the ellipsis at the end of the second paragraph in the above excerpt indicates, I have edited it. Given the quality of the editors of COMMENTARY over the last 47 years, it is fortunate they have found someone of John Podhoretz’s intelligence, accomplishments and journalistic talent to take the job after Neal Kozodoy. The New York Times should be so lucky. I just spoke with the rabbi of my heart, Yitzi Hurwitz at Chabad in Temecula, CA. He needs help and I am hoping that BtB readers will come through in a pinch, because this is a big pinch. Temecula hasn’t been hit by the fires, though they’re not far away. The air is full of smoke and it’s hard to breathe, even inside with the AC on. However, tons of people who have fled their homes elsewhere have ended up there, for the simple reason that it’s the closest place that’s not burning. Rabbi Hurwitz et al are bringing vats of chicken soup to the shelter (and they’re begging for more, you can imagine), feeding and taking care of the firefighters and emergency workers, giving crayons and paper to the children. He said you would be surprised at how much the smallest thing, the smallest kindness is appreciated. 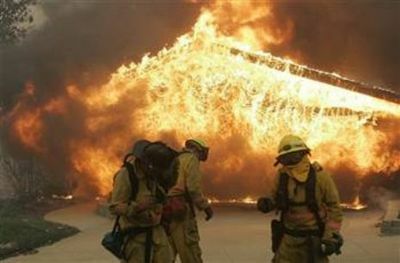 Those of us who will sleep tonight in the safety and comfort of our own home -- particularly those of us in California -- can at least click here and help Rabbi Hurwitz help others. It takes less than three minutes. I just timed it. Some People Say . . . But I Say . . .
Now, some people say he's gotten a little too big for his spats. . . . But I say, he's a man who'll go far. Some people say he's gone too far. . . . But I say, you can't keep a good man down. Although Mearsheimer and Walt make an effort to distinguish their work from anti-Semitic tracts, the picture they paint calls up some of the ugliest stereotypes in anti-Semitic discourse. The Zionist octopus they conjure -- stirring up the Iraq war, manipulating both U.S. political parties, shaping the media, punishing the courageous minority of professors and politicians who dare to tell the truth -- is depressingly familiar. Some readers will be so overpowered by this familiar bugbear that they will conclude that the authors are deliberately invoking it. In fact, Mearsheimer and Walt have come honestly to a mistaken understanding of the relationship between pro-Israel political activity and U.S. policy and strategic interests. It is no crime to be wrong, and being wrong about Jews does not necessarily make someone an anti-Semite. But rhetorical clumsiness and the occasional unfortunate phrase make their case harder to defend. Some people say they’re using the ugliest stereotypes in anti-Semitic discourse to paint a depressingly familiar picture of a Zionist octopus. But I say it’s just a little rhetorical clumsiness and the occasional unfortunate phrase. The authors also end up adopting a widely used tactic that has a special history in anti-Semitic literature. When anti-Semitic writers and politicians make vicious attacks, Jews are in a double bind: refrain from responding with outrage and the charge becomes accepted as a fact, express utter loathing at the charge and give anti-Semites the opportunity to pose as the victims of a slander campaign by venomous Jews. Nazi propagandists honed this into an effective weapon. Anyone who lived through or has immersed himself in the history of the golden age of European anti-Semitism is keenly aware of this tactic, and when one sees it employed in writing about Israel or the Israel lobby, one naturally assumes the worst: that the use of a tactic long popular among anti-Semites is a sign that a contemporary writer shares their deplorable worldview. The greatest living practitioner of this passive-aggressive form of provocation (and not just against Jews) is former President Jimmy Carter, whose recently published Palestine: Peace Not Apartheid set off a firestorm by implying a parallel between the Israel of today and apartheid South Africa. Mearsheimer and Walt wag their fingers at those awful Jews who "smeared" the meek and innocent Lamb of Georgia. How dare the lobby be provoked by Carter's provocation! To a certain audience, that chain of events signals a powerful and determined anti-Semitism at work. This is wrong, in both the case of Carter and the case of Mearsheimer and Walt. But paying a little more attention to the ways in which modern history has shaped the emotions and responses of participants in Israel policy debates would have helped Mearsheimer and Walt make their case. Some people say they’ve adopted a widely-used tactic that has a special history in anti-Semitic literature and has long been popular among anti-Semites. But I say they just need to pay a little more attention to the ways in which modern history shapes policy debates. Some people are still a little touchy about the Holocaust, and even more so about the current threats to repeat it. But to those who are not, I say they might consider reading “Those Who Forget the Past” -- particularly the essays by Cynthia Ozick (“Afterword”), Ruth Wisse (“On Ignoring Anti-Semitism”), Melanie Phillips (“The New Anti-Semitism”) and Todd Gitlin (“The Rough Beast Returns”). It will help them understand the ways in which modern history shapes this debate. Avowed Holocaust-denier and President of Iran Mahmoud Ahmadinejad, feted last month by Columbia University’s tough-talking but effectively spineless administrators, received glowing praise from campus commentators and editorialists the country over. . . . The New York Times, no doubt comprised of many graduates from both amateur periodicals, similarly gushed: They “could imagine no better way to give hope to opponents of Iran’s repressive state” than to honor the country’s leader with a forum at an Ivy League university . . . . Surely Ahmadinejad’s convictions about Jews, gays, and women cannot even compare to the relatively modest assertion that some Muslims advocate terrorism. But judging by these newspapers’ responses, one could presume that David Horowitz makes Ahmadinejad seem like Mickey Mouse. . . .
Chris Kulawik, CC ’08 and president of the Columbia University College Republicans, invited Horowitz to deliver the speech, in which he is expected to address the rights of women in Islamic countries and to denounce some Islamic governments for what he sees as efforts to persecute women, Jews, and homosexuals. Shira Gordon, BC ’08 and president of the Progressive Jewish Alliance, questioned the tactics of Horowitz, who is Jewish. “What offends me most is that he claims to speak for the Jewish community,” she said. “His packet says students should ask Hillel for its support. It offends me that he’s trying to speak for my community, even though I disagree with him,” she said. . . .
“How do we know what he’s [Horowitz is] going to say?” Kulawik said in response to early concerns. “There is an attempt by some groups to call him a racist, or bigoted, when he is doing more for moderate Muslims than any other group on the Columbia campus.” . . .
Last year, Horowitz published a book detailing the “101 Most Dangerous Academics in America.” According to Gordon, the Progressive Jewish Alliance and the Columbia University College Democrats may invite the nine Columbia professors condemned in that book to speak on campus. The Progressive Jewish Alliance also plans to make armbands or T-shirts and to write a petition on behalf of Hillel protesting Horowitz’s use of the Jewish community to further his argument against Muslim radicals. Many groups agree that it is important to stay involved. Adil Ahmed, CC ’08 and president of the Muslim Students Association, attended a meeting with Dean Christopher Colombo and University President Lee Bollinger about Horowitz’s speech. Maybe Bollinger will introduce him. UPDATE(S): Kesher Talk reports on Horowitz's appearance at Princeton. Boker tov, Boulder! reports on Berzerkley and rebuts Shira Gordon. David Horowitz looks back at the week. In an important article in the current issue of Azure, Noah Pollak describes Israel’s incompetent public relations efforts in the face of fraudulent media coverage of the Mohammed al-Dura incident, the Gaza beach explosion, the Jenin “massacre,” and the Second Lebanon war. For over a year, the IDF has been conducting air strikes in Gaza that are intended to thwart Kassam rocket fire into Israel, and because Hamas and Islamic Jihad terrorists intentionally operate among civilians, these strikes invariably kill bystanders and create damaging news stories. It would be extraordinarily easy for the prime minister, for example, to hold a press conference in Sderot in front of a school destroyed by Palestinian rocket fire and explain to the cameras that while Israel is striking Hamas in order to protect the lives of Israeli children, Hamas is sending its children on suicide missions to operate those very same rocket launchers. In our age of global communication and the disproportionate influence of easily manipulable photographs and video, a new theater of war has been created, one in which the battle is not fought over territory or against armies and terrorists. The battle is over images, narratives, and beliefs, and the tactics and strategies required to fight it bear little resemblance to conventional war. 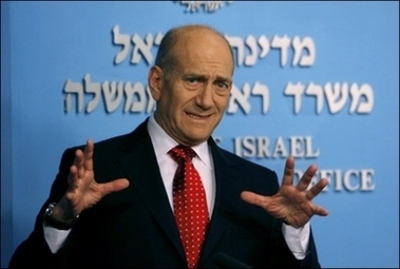 The stakes for Israel are far greater than the repercussions of one particular crisis; what hangs in the balance is Israel’s strategic position among democratic nations; its ability to sustain its own sense of moral clarity and national confidence against its enemies; the perseverance of Zionism as the animating ethos of the Jewish state; and the fulfillment of the central aspiration of creating a country in which Jews no longer feel intimidated by their assailants. Continue reading the article here. Last year, Pollak had another perceptive article on Israeli media efforts, summarized here. Both are worth reading in their entirety. The current issue of Azure also includes articles by Moshe Yaalon and Michael Totten, among others. Joseph Epstein may be the most graceful essayist writing today. 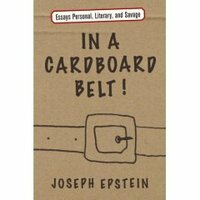 His new book (“In a Cardboard Belt! – Essays Personal, Literary, and Savage”) is his tenth book of essays, a collection on personal history, literary figures, reflections on the intellectual life and other topics. This is the joke about a Mr. Nussbaum, who goes to his rabbi to announce that his beloved dog Buster has just died and that he would be grateful if the rabbi would say a memorial service for the dog. The rabbi, after expressing his condolences, tells Mr. Nussbaum that Jews are not permitted to say memorial services for animals. Mr. Nussbaum informs the rabbi that he has no other family, that Buster meant everything to him, that he would be willing to make a serious contribution to the rabbi’s special fund for working with inner-city children if he would accommodate him here. The rabbi, not an inflexible man, tells Mr. Nussbaum that, all right, he will do the service for Buster the next day in the small synagogue at 2:30 . And so the following day, the rabbi goes through the service and speaks about the dog for roughly fifteen minutes. Mr. Nussbaum, alone in the audience, listens, tears in his eyes. The rest of the essay is a reflection on obituaries, including his own, and the ways in which writers of them strive for "good copy," but reminds us that each of them "represent vast heartbreak for their families." Like every good Epstein essay, it is serious and funny at the same time. 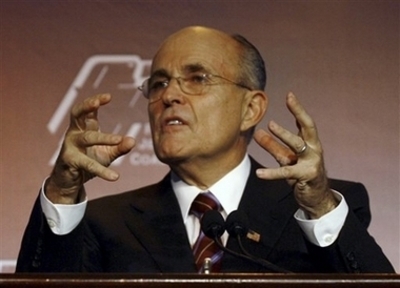 Rudy Giuliani gave a masterful speech before the Republican Jewish Coalition in Washington, D.C. yesterday. … that was a Freudian slip. I didn’t have him thrown out of the United Nations. I had him thrown out of the United Nations’ concert at Lincoln Center. I think it was a Freudian slip because you might have gotten the point of whether I really would have liked to have done. I helped to keep him away from the United Nations in the 1980s, but that’s a different story. When I made that decision, which had to be made right at the moment, because I went out to give a curtain speech, it was for a performance of Beethoven’s 9th Symphony, great work of art, a great piece of music, one that’s dedicated to peace, and I did find some real incongruity in the idea that he was coming to that concert. But the thing that really bothered me was he didn’t have a ticket. He was a freeloader. Just like he stole all that money and sent it to the south of France, he didn’t pay for his ticket. But in seriousness, the truth is I was informed that he was there and I had to go out and give a curtain speech. I didn’t hesitate, like Hillary Clinton hesitates to answer questions on what she’s going to do about Iran. I didn’t seek to negotiate with him, like Barack Obama would do or says he’d do with these people. I didn’t call for a team of lawyers to tell me, Well, on the one hand, you can throw him out, but on the other hand, you can’t, and maybe you can partially throw him out. Maybe we could have him sit like further up. I just made a decision. See, I lead. That’s what [being a] leader is about. A leader has the confidence to make a decision. So the administration was real angry at me. President Clinton condemned me the next day. I framed the article. The reason I did it was I knew from my own investigations of Arafat that he was a murderer and a terrorist, that he had killed many Israelis, killed many American citizens. The case with Leon Klinghoffer was the one that probably I knew the best. And I also thought from the very, very beginning, when they first started negotiating with him, that this whole idea of holding him on a morally equivalent plane to like the prime minister of Israel, like these two people are equal, was a terrible, terrible mistake and I believe that set back the whole cause of peace in the Middle East, maybe for at least a decade and maybe even longer. I hope not. In the case of the Palestinians, here’s what it is, two big ones. First of all, the Palestinians have to say and acknowledge and mean it that Israel has a right to exist as a Jewish state. Number one, because Israel’s already negotiated its existence. That negotiation happened a long time ago and that’s over and they’ve just got to kind of move on. Second, second, they have to be willing to say, We forsake terrorism and we’re going to help to reduce and eliminate terrorism and they need to show their good faith by that condition remaining that way for some period of time. It’s as simple as that — or as hard as that. They do those two things and they mean it and time demonstrates that they do mean it, then, of course, they can negotiate. We would like to negotiate. We would like to have peace, but we don’t want to have a peace in which we’re taken advantage of. Giuliani’s blog still lists the Jewish Current Issues video of his August 2007 remarks about a Palestinian state. His statement of support for Israel on his website is very impressive. Jim Geraghty covers the RJC presentations of all the candidates yesterday at The Campaign Spot (scroll down to Tuesday). Brad Greenberg covers Giuliani's speech at The God Blog. It will bring more security, greater safety, much more prosperity, and a lot of joy for all the people that live in the Middle East. And we all desperately need it. We are tired of fighting, we are tired of being courageous, we are tired of winning, we are tired of defeating our enemies, we want that we will be able to live in an entirely different environment of relations with our enemies. The peace process is a process that demands mutual tolerance, a willingness to listen to all sectors of society, an openness to understand the fears and suspicions that are so embedded in our common experiences – but also determination to accept brave unavoidable decisions . . . . So too will the other side have to act. . . . They too will have to confront the need to relinquish the fulfillment of some of their dreams in order to create with us a reality, that might not be ideal, and might not be perfect, but one that will give us all stability, security, happiness and peace. It’s just like old times: the peace of the brave. Today is the fourth anniversary of an unresolved event in Gaza that is emblematic of U.S. policy with respect to the Palestinians. On October 15, 2003, a U.S. embassy convoy was on a visit to Gaza to interview Palestinian candidates for Fulbright scholarship programs in the United States. The convoy consisted of three fully armored but unmarked Suburbans. The first vehicle was occupied by the diplomats on the interview mission. The second vehicle was occupied by American contract protective security specialists: John Branchizio (36), John Linde (30), and Mark Parsons (31). The third vehicle had agents of the Diplomatic Security Service on a “route and area familiarization” trip. On January 9, 2004, Deputy Chief of Mission Richard LeBaron went to Gaza to meet with Palestinian Authority officials. He told them that “we are not satisfied that enough is being done to solve this crime” and emphasized that “we know that there is not a huge number of people who have the proven capability to carry out an attack like that executed against our motorcade.” He told them the U.S. would soon offer a $5 million reward for information regarding the murders, and that without the arrest and conviction of those responsible the U.S. could not continue its full range of assistance to the Palestinian people. A hastily arranged military trial for three PRC members – convened less than 48 hours after Washington offered up to a $5 million reward for information on the attack – charged the three not with murder or attempted murder but with manslaughter in connection with possessing explosive devices. The trial was convened on only a few hours’ notice; the defendants had no attorneys, and neither their families nor the U.S. Embassy in Tel Aviv were informed in advance. Palestinian judges delayed the trial a month so defense attorneys could be present and the case moved to a civilian court. When the trial convened, the court announced that the defendants would be released since “no evidence was offered against” them. They remained in jail despite the judge’s order, however, pending the approval of their release by Palestinian leader Yasser Arafat. That approval never came, leading fellow PRC members to storm the jail the next month and free the suspects. As of today -- nearly three years after Abbas made that personal assurance to Rice -- the Palestinian terrorists who killed John Branchizio, Mark Parsons, and John Linde have still not been brought to justice. Not a single Palestinian terrorist group has been dismantled by Abbas. No terrorist infrastructure has been dismantled. Today, Secretary Rice will meet with Abbas in Ramallah, part of her ongoing efforts to lay a foundation for (in the words of the State Department announcement of her trip) “serious negotiations on the establishment of a Palestinian state as soon as possible.” The Palestinians have been given a pass on their Phase I and II obligations that were supposed to precede such negotiations, as well as their commitment to identify and dismantle the people and group that attacked an American convoy with an IED four years ago. It is doubtful that the case of John Branchizio, Mark Parsons, and John Linde is even on Rice’s agenda. Many others aborted over obviously idle security concerns. And strange debris and heard the explosion . . .
And processing peace . . .
Several bloggers have done extraordinary work on this story, adding many important details not covered above, including: Boker tov, Boulder! (start here, and then here here here here here here here and here. ), Daled Amos, and Israel Matzav. H.R. 2293, which would require the Secretary of State to submit to Congress a report on the case, is pending in Congress. On December 28, 2006, I filed a Freedom of Information request with the State Department, asking for all documents relating to murder of Branchizio, Mark Parsons and John Linde, noting that the issue was of current importance since it bears on U.S. relations with the Palestinian Authority. I sent two follow-up letters and placed a phone call. By letter dated July 10, 2007, the State Department provided me with immaterial information from the Central Foreign Policy Records (the principal record system of the State Department) and told me that their search of records in the American Embassy in Tel Aviv is "continuing." UPDATE: Soccer Dad and Israel Matzav also have posted on this subject today. UPDATE: Anne Lieberman forwarded a copy of a letter that Congressman Bill Pascrell, Jr. (D-N.J.) sent on September 6, 2007 to Secretary of State Rice, urging her to “bring the full weight of the Department of State to bear in this case.” As of today, no response had been sent by the State Department. One of Congressman Pascrell’s staff persons contacted the State Department today regarding the letter, and the Department stated there would be a response soon. We'll see. UPDATE 10-23-07: Still no word from the State Department. Carl in Jerusalem urges the blogosphere to get on this.